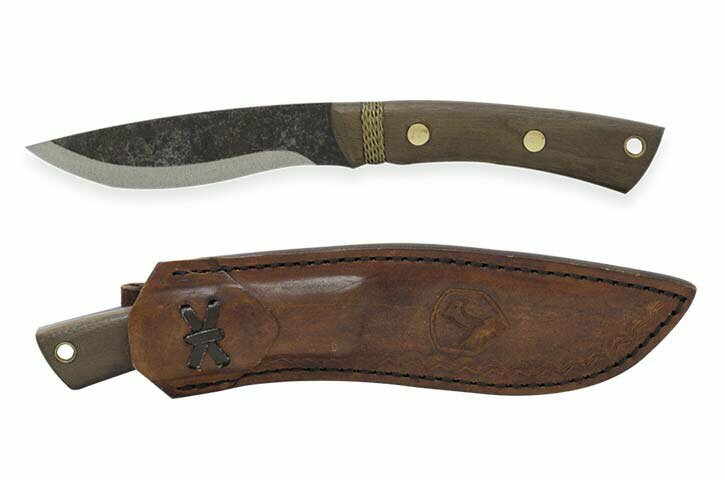 Condor Huron Knife. 8.63" overall. 4.25" 1095HC steel drop point blade. Brown Walnut handle. Full tang. Lanyard hole. Brown leather belt sheath included.